As the leaves begin to change into their orange and red hues and the breeze gives off a chilly bite when it blows by, we know that the summer season has come to an end and winter is waiting for us just around the corner. While some might not love the fact that we’ll all be wrapping ourselves in multiple layers just to go outside, there is no denying that Montana is incredibly beautiful during the colder seasons. If you’d rather stay warm in your newly renovated room at our hotel in downtown Glasgow, checking out the beauty of our historical town blanketed in a sheet of white, then that’s totally okay! But if you’re a winter and fishing enthusiast, you should remember to add your fishing gear to your bag before you leave for your journey! The Fort Peck Reservoir, just a mere 20-minute drive from the Rundle Suites, offers some of the best ice fishing in the country. In this blog post, we’ll give you a few reasons why you should add ice fishing to your plans when you come to stay with us. For more information about our hotel and amenities, give us a call, or simply book your room now! Another reason why Lake Fort Peck is one of the premier ice fishing locations is just how isolated it is. With over 1,500 miles of shoreline and spanning over 245,000 acres, the lake is the fifth largest artificial lake in the country and the largest lake in Montana by surface area! With so much space, you’ll have no worries about any competition. Sure there may be some locals spread around and just a few lucky so and so’s like you that have found the ice fishing paradise, but that’d be it! 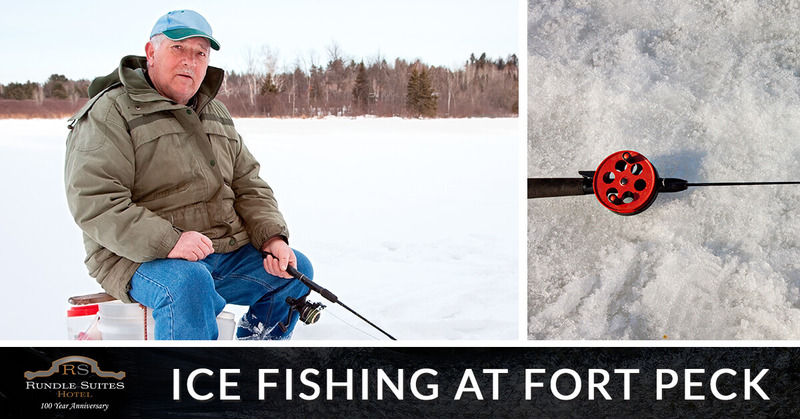 With so much area to cover, it is recommended to do a little research on prime spots to drill your ice fishing hole. Ask the staff at our hotel if they have any advice or contact the Hell Creek Marina and they’ll provide you with all the information you need, even access to local fishing guides. 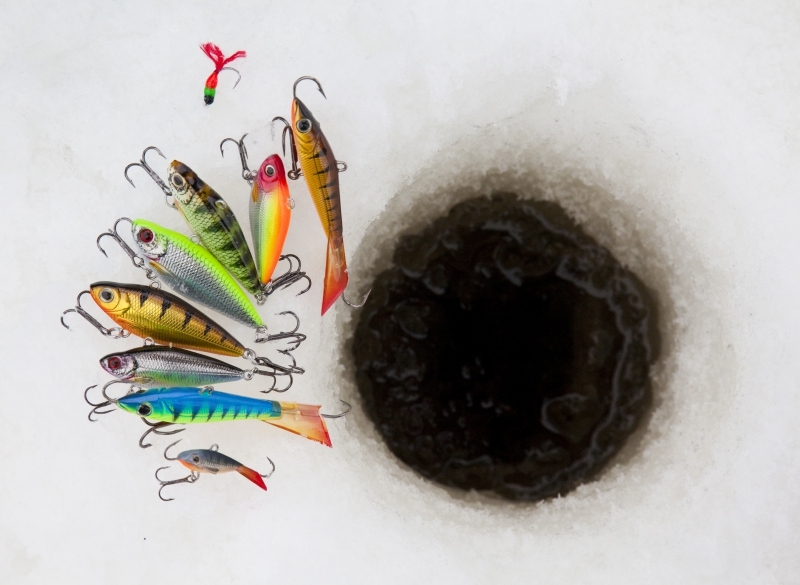 Due to the size of the lake, it is also beneficial to be mobile on your ice fishing escapade. ATV’s are quite common, just make sure that you stay safe and aware since there could be spots with pressure cracks and thin ice, but being able to ride around will give you much more of an opportunity to find the sweet spot for collecting trophy fish. If your party is going ice fishing and it’s not really your thing, or the kids don’t want to join, the Fort Peck Interpretive Museum is a great alternative! Boasting the two largest aquariums in Montana, dinosaur exhibits, facts about the history of the area, and more, the museum is a great option to escape the cold, expand your knowledge, and have a great time! At Rundle Suites, our staff is dedicated to making your stay as comfortable as possible as can be. With our newly renovated hotel rooms in our historic and hundred-year-old building right in the heart of downtown, we’d like you to consider us your home away from home. For more information or to get your room booked, contact us now!